We will exhibit at Rettmobil Trade Show in Fulda, Germany 16-18 May together with our sister company Standby GmbH. 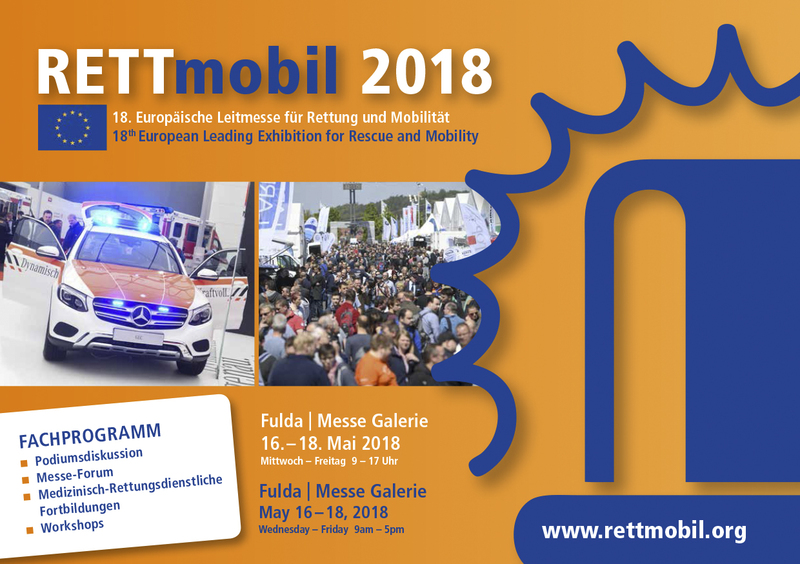 Rettmobil is the european leading exhibition for rescue and mobility. Welcome to visit us in both 7 702.